Each year the village of Lightwater comes together to celebrate Christmas with ‘The Fayre in the Square’ in early December. The week before, the lights are switched on, and Lodge Brothers Funeral Directors have their part to play. Situated in The Square for a year now, Lodge Brothers staff have proved they are not just there for the ‘sad days in life’. 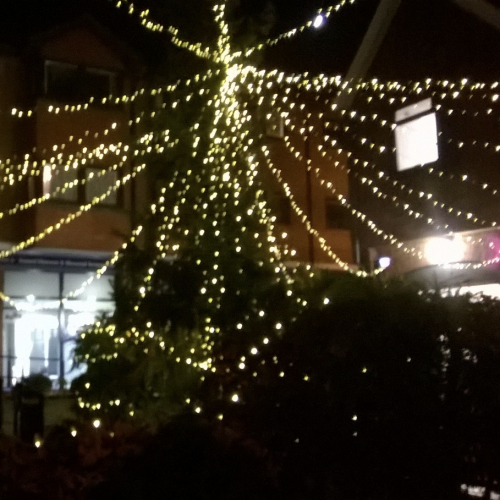 Richard Leachman, District Manager, said: “The spider-web effect of the lights this year is quite stunning. I am pleased that we can again be a part of the lighting-up of the village”.